Indonesia’s power sector is expanding gas-fired generation capacity to meet rising electricity consumption, a move that is expected to increase net energy imports as part of plans to meet long-term demand. In mid-June the first 300MW unit of the large-scale Jawa 2 gas-fired power station at Tanjung Priok, located some 10 km north-east of Jakarta, came on-line. The unit is part of an 880MW project to build two gas-turbine-combined-cycle power plants, being developed by Japan’s Mitsubishi Hitachi Power Systems and its partners Mitsubishi Corporation and Wasa Mitra Engineering of Indonesia. It is expected to commence full production next year. 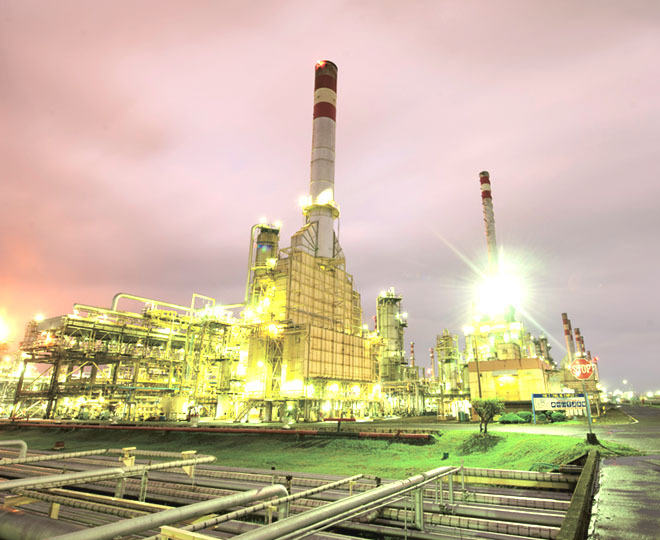 Commissioned by national electricity provider Perusahaan Listrik Negara (PLN) in January 2016, Jawa 2 is part of the government’s electricity procurement programme, which aims to add 35,000MW of new generational capacity by 2019 via a mix of renewables, coal and gas-fired plants. Once complete, the new facilities – the majority of which will be constructed by independent power producers – will bring total installed capacity up to around 95,000MW. While progress towards the target has been made – 1,362MW of new power plants were in operation and 17,116MW were under construction as of February 2018, according to local press reports – it is likely that the plan’s timeline will extend beyond 2019. In March PLN told local media that around 20,000MW of power plants included in the programme would be operational by 2019. Currently, gas-fired power stations account for approximately 25.8 per cent of total generation capacity compared to 58 per cent provided by coal-burning units. However, gas-powered generation is expected to double by 2026, according to a report released last year by consultancy PwC, in line with the government’s commitment to lowering emissions by 29 per cent by 2030. The expansion and diversification of the national power supply is generating a shift in Indonesia’s energy policy. With rising electricity production increasing demand for gas, and domestic fuel consumption on the rise, Indonesia is moving away from being a hydrocarbons exporter to a net importer. Gas and oil exports for May rose by 21 per cent year-on-year (y-o-y) in value terms to US$1.6 billion, out of total shipments of US$14.5 billion, according to data issued in June by Statistics Indonesia. By contrast, the hydrocarbons import bill for May was US$2.8 billion, a 52 per cent y-o-y increase. Both results reflect the rise in global energy prices, with the majority of the trade deficit for the month – US$1.5 billion – represented by the cost of inbound gas and oil shipments. Pertamina, the national oil and gas company, moved to bridge future potential gas shortfalls well in advance, signing two long-term contracts with US provider Cheniere Energy for liquefied natural gas (LNG) imports in 2013 and 2014. The first deliveries were initially scheduled for later this year or 2019, but have been postponed until 2020 owing to strong domestic production, according to international media reports in July 2017. The two contracts, for annual deliveries of 0.80 million tonnes and 0.76 million tonnes, respectively, for terms of 20 years, were inked at a time when Indonesia was still able to meet all of its domestic gas requirements and maintain export flow. Cheniere’s LNG export facility at Corpus Christi in Texas is due to come on-line this year, and shipments to Indonesia will commence before the year’s end, Nicke Widyawati, the acting president director of Pertamina, told international media in late June. At least some of the initial cargoes will be sold on as surplus to current requirements. Resales will only be a short-term measure, however, as rising demand for gas in both the electricity and petrochemicals sectors will require a greater flow of inputs, she added. While Indonesia still has gas reserves that it can develop and bring on-line, plans to commercialise deposits have seen delays. A government decision requiring partners to develop an onshore processing hub for the Arafura Sea’s Masela block could slow or halt the extraction of the deposits – estimated at up to 40 trillion standard cu feet. The cost of the onshore hub, estimated at US$19 billion, compared to US$14 billion for an offshore facility, is seen as a key hurdle. Similarly, suggestions the government will not extend some existing extraction leases – such as that of US-major Chevron in the Makassar Strait block – and instead propose that Pertamina, which currently has a 10 per cent stake in the project, take over the management of the field, could deter future investments and delay the development of the reserves. This Indonesia economic update was produced by Oxford Business Group.